Santa Lucia Pizza and 92.1 CITI! The design renderings sit on placards for all to see, offering a glimpse of what the Bruce Oake Recovery Centre will likely be. The point of the Tuesday night display at the Sturgeon Heights Community Centre is to show where the controversial project stands and collect feedback from community members. Many of those St. James residents have brought their own signs — to oppose the project. They believe the location at the site of the old Vimy Arena is inappropriate for an addictions recovery centre and don't want it in their neighbourhood. 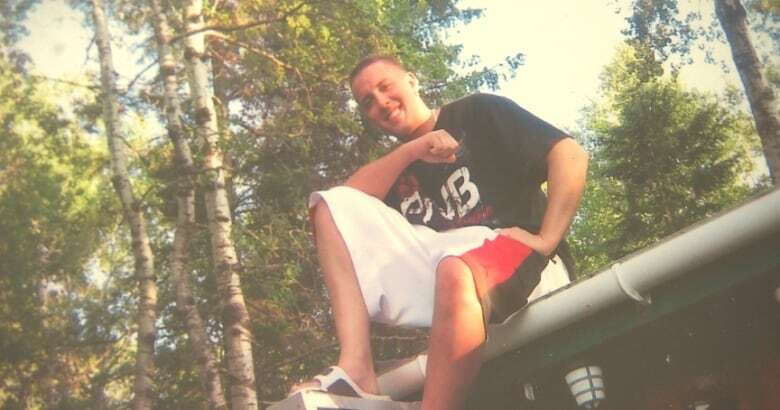 The centre is dedicated to the memory of Bruce Oake who died in 2011 from a heroin overdose. He was 25 and the son of veteran CBC sportscaster Scott Oake, known to most Canadians from hosting Hockey Night in Canada. The 50-bed centre would be for men only with a focus on long-term treatment. MMP Architects, the firm drawing up the plans, believes the residents' fear of the project is largely based on misinformation. "There's been a lot of information that's been disseminated that is completely incorrect information, and we're concerned about that," said Robert Wrublowsky, the senior principal architect for the project. He starts with what he feels is the biggest misconception: "It's the profile of who they think is going to be using the centre." 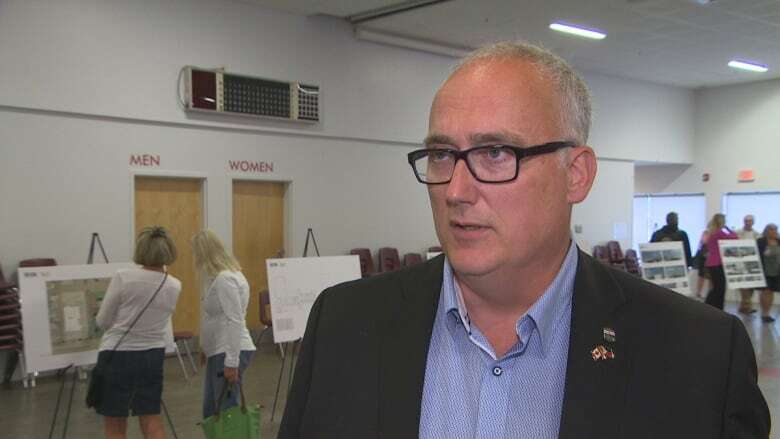 A big concern from certain residents is the type of people the centre would bring into their neighbourhood, especially parents who say they worry about the safety of their children and kids if the project moves forward. 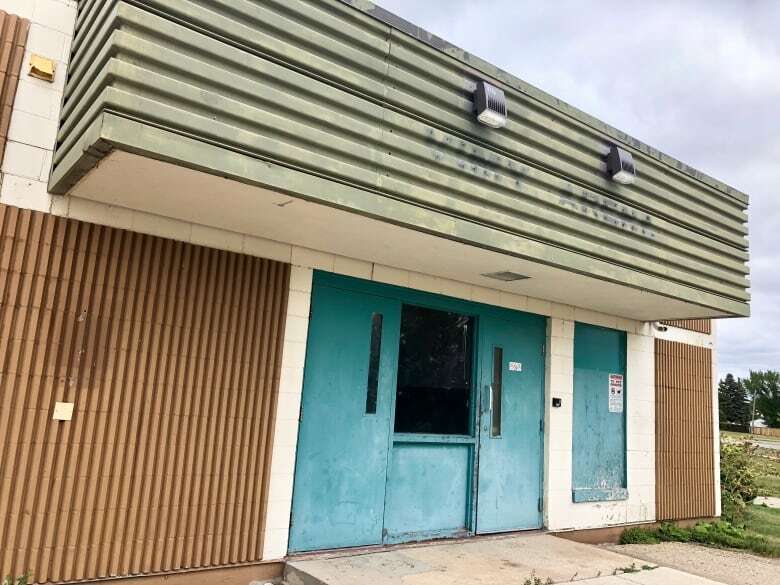 "There are plenty of commercial and industrial areas that would be more suitable for a site like this," said Evelyn Hartwig, who fears high-risk offenders will be mixing with children and schools . The centre says safety will be a paramount concern, and those hoping to get into its program will have to complete an interview process: Only those willing to come on their own free will and are committed to getting help will be accepted. The centre will provide treatment for all kinds of substance abusers, including methamphetamine. Mayoral candidate Tim Diack, who attended the open house, supports the centre. He's a city beat cop who calls the project long overdue, and thinks the St. James location is a good spot for it. "We need five more of these, six more of these," he said, just talk to any police officer or first responder. He says drug use is already creating problems in the St. James area, but he doesn't think people are aware to what extent. He blames local media for failing to report on crime, due in part because Winnipeg news outlets aren't aware of police calls as they were just a few years ago before police and EMS radio transmissions became encrypted. "If these people understood the level of violence and the impact of meth in their neighbourhood they wouldn't be hesitant, they would be supporting this project," Diack said before making an election promise to give Winnipeg newsrooms access to police scanners again if elected mayor. Flyers distributed by opponents of the project claim property values could tank by as much as 30 per cent if the centre opens. The centre vehemently denies this claim, saying there is no evidence to support it. So, could property values in the surrounding area fall? That's hard to say because it is totally dependent on the buyer and whether they have an issue with the centre, says Maximum Realty agent Michelle Levesque. "If I'm shopping with my buyer and he has the choice of the exact same house — one that's a block away from that centre and one that's three blocks away — the [house] three blocks away is certainly going to be more appealing," she said. "So there's a better chance the seller is going to get a better asking price than the seller that's maybe having to hold on a little bit longer to the one closer [to the centre], waiting for the client that is not going to be so concerned about that." Some opponents have raised concerns about the loss of green space if the centre opens. The old arena is surrounded with green space and a creek, and the area is frequented by pedestrians and cyclists. The centre says no green space will be lost after renovations, and the area will remain open for residents to enjoy. The opponents of the project have created a group, the Friends of Sturgeon Creek. They've hired a law firm to try to have the project quashed and have the support of independent MLA Steven Fletcher. MMP Architects is planning to refine its plans for the centre over the next two months and then have another round of community consultations in September. 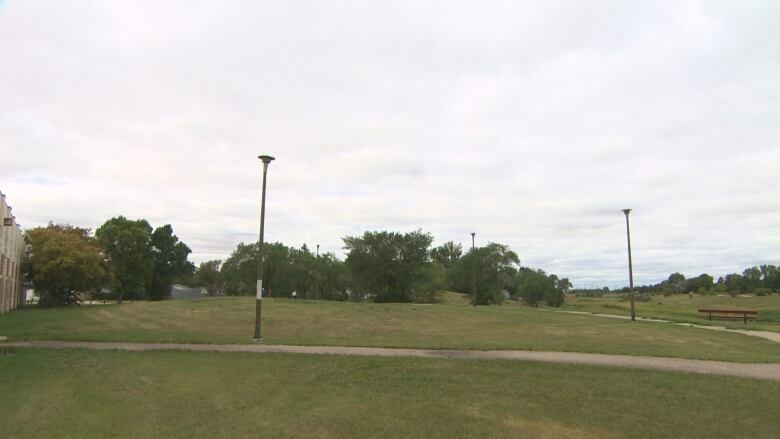 It plans to finalize the plans then and have one more round of community information meetings before seeking rezoning approval from the City of Winnipeg in November.